Indian Celebrities Real Life Love diaries- Valentine’s Day special! Every year, on February 14th, there is a new happiness for everyone to know there is someone in their life to shower their love and promise one more time to stay together and forever. In every couple’s life, Valentine’s Day has a special place. Couple these days, celebrate Valentine week. Each day in the week reflects each step of love in their blossoming relationship. The Valentine’s week starts with the Rose Day, followed by Propose Day; the day Valentine proposes his love. Then comes the beautiful Chocolate Day and Teddy Day, where the couple drenches in their love. These are followed by Promise Day, on which the couple promise to stand by each other, despite many highs and lows to come by. The Hug Day and the Kiss Day the follow, bring the romance between two bodies and one soul. Finally the Valentine’s Day. It is not only celebrated by an unmarried couple, but also many married couples in the world take keen part and make promises to stay together. This year’s Valentine’s Day is going to be a special affair, especially for all those newly married celebrity couples in India. This would their first-time post their marriage to celebrate this day with their love. The film world is no alien to this. Want to know about the cutest love stories? 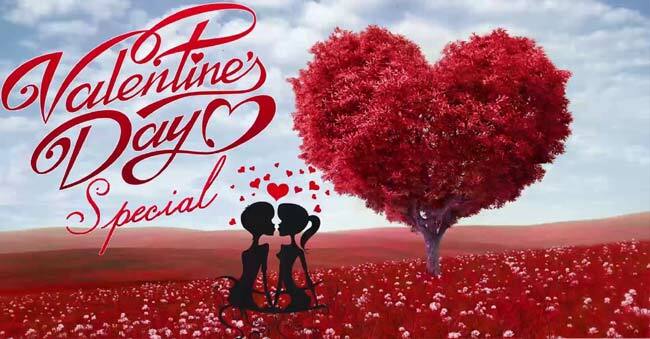 Join us, to know will be celebrating Valentine’s Day for the first time this year post their marriage. They need no introduction, and they are the most beautiful and happening couple in South Indian Film Industry, especially Tollywood. The pair’s wedding took place in an extravagant ceremony in Goa. They have an immense fan following and are the most loved couple of fans. Chaisam is going to celebrate their first Valentine’s Day post their marriage and it surely is going to be their extra special and most memorable. Every one of us could see the romance between them on the screen through their films, but this time, on Valentine’s Day, they will be sharing the love as a married couple. Undoubtedly, they are most loved celebrity couples of the world. 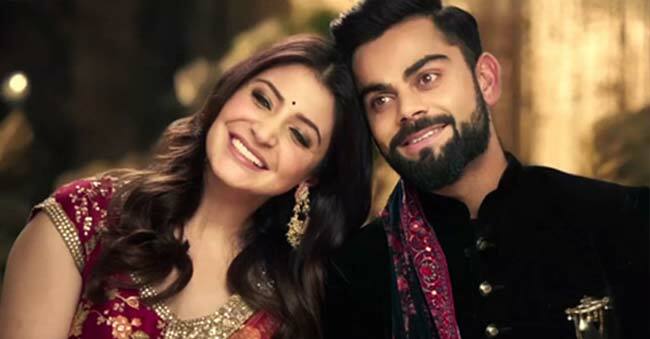 Indian Cricketer and Captain Kohli and actress Anushka Sharma will also be celebrating Valentine’s Day 2018 for the first time post their marriage recently. We all know, that the star couple were in love for many years now, and were dating each other before they finally tied the knot last year in December. We are sure, the essence of romance is going to be sweeter for them after their marriage. Presently, Virat is in South Africa for India vs South Africa ODI series while Anushka is busy shooting for her film in India. We are sure, the lovely couple must have made all arrangements, all ready to make their V-Day a romantic filled one. Do you remember the Chak De! Girl? 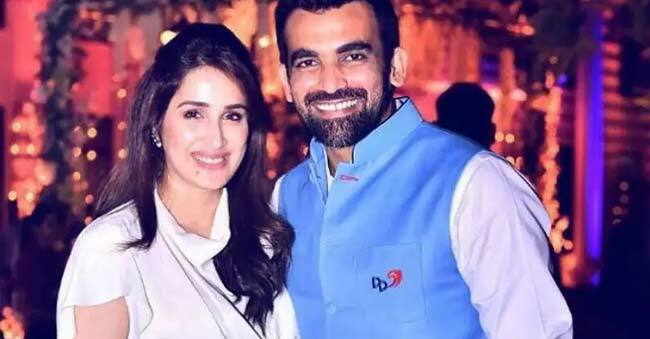 Our handsome left-hand fast bowler Zaheer got married in a simple manner in court premises to this beautiful Sagarika Ghatge. However, they later hosted a lavish reception for their near and dear ones. This beautiful couple were dating for many years and must have spent quality time with each other on many Valentine’s Day. But this year, Valentine’s Day 2018, is going to be awfully distinct for them as it is their first after their marriage. Sagarika became famous after Chak De hit with Shahrukh Khan, but later she pretty much stayed silent until we came to know she is the one who stole the heart of our handsome Zaheer Khan. This small screen couple’s love story happened like a magic. 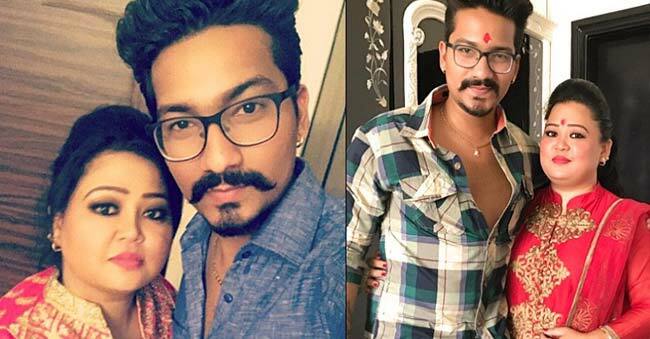 Writer Harsh Limbachiyaa and Bharti Singh (comedian) got married in a fairytale destination wedding in Goa. Many TV celebrities were invited. Bharti and Harsh were seeing each other since their comedy circus days. Their love bloomed and it was visibly seen to one and all when they made their appearance in Nach Baliye 9. The tinsel town celebrities will be celebrating their first Valentine’s Day 2018 after their marriage. It is even heard, that Bharti had lost loads of weight for her love in the process of their relationship. The couple stand ideal for the saying marriages is made in heaven. 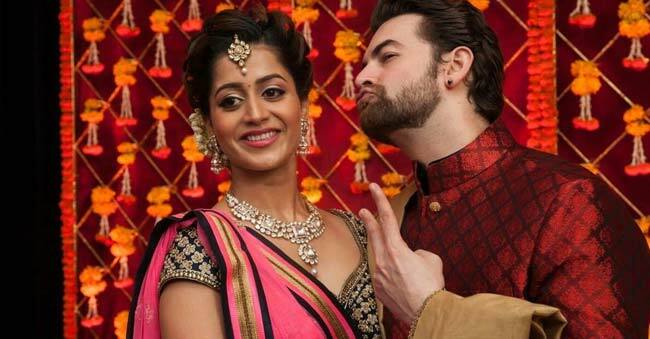 Neil Nitin Mukesh and Rukmini Sahay tied the knot in the presence of their family members as per traditional Hindu rituals in an intimate wedding ceremony in 2017. Their picture-perfect wedding in Udaipur is nothing short of a fairytale. Rukmini looked stunning in a red and orange lehenga. In a maroon and cream sherwani, Neil looked kingly. The marriage festivities went on for days, thus easily making this, one of the fanciest weddings in B-town. The couple had a dreamy engagement, which was followed by a lavish Mehendi, and Sangeeth. The gala wedding and the grand reception saw many B-Town celebrities that night. Neil is the son of Bollywood singer Nitin Mukesh and grandson of the legendary singer Mukesh. He was a child actor before his debut in Johnny Gaddaar in 2007. Gautam is a known face, as he is an actor in small screen TV serials. 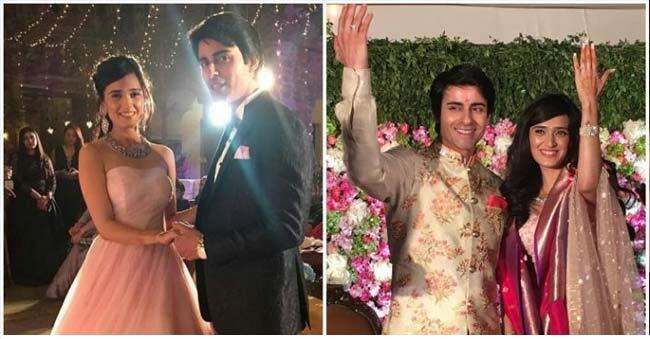 He married the lovely Pankhuri Awasthy on February 5th in Rajasthan. Before tying the knot, they were dating each other for a while. Everyone in small screen went crazy when they heard about their marriage reports. Interestingly the couple got married very close to Valentine’s Day, hence it would be much sweeter for the couple and everyone are keen to know what Gautam would be gifting to his better half on their first Valentine’s Day post their marriage. Apart from these newlywed couples, we wish to bring certain Tollywood stars who are never behind to Bollywood or Hollywood lovebirds when it comes to flaunting their love and relationships. They are very successful in taking forward their love and relationships to marriage. The ones whom we thought are Tollywood baddies, are in fact quite romantic on the personal front. Most of a young lot of actors have gone for a love marriage and are fairly leading a fairytale lifestyle. Talking from Mahesh Babu, Soorya, Ram Charan Tej, Allu Arjun, Nani, Manchu Vishnu, Manchu Lakshmi, Nagarjuna, Srikanth, and Rajasekhar, all of them got married to their loved ones. 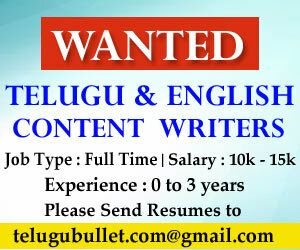 Speaking about the Tollywood directors, they are not far behind in being romantic. Krishna Vamsi, Puri Jagannadh, Rajamouli who were gutsy enough to propose their love interests and successfully marry later. One should not forget, the star couple’s most familiar love story on the small screen and Tollywood, Suma and Rajiv Kanakala. Even the singers are in the race. Geetha Madhuri tied the knot to Nandu on 9th February 2014. The couple shot to fame due to their cute love story and got immense public attention. Even singer duo, Sravana Bhargavi, and Hema Chandra got married on 14th February 2013, on Valentine’s Day itself making it a perfect date for the lovebirds to get hitched. Last but not the least one to mention, here is Pelli Choopulu fame Priyadarshi, who is a well-known character artist. He shot to fame with his splendid performance in the movie. Since then, there is no turning back for the actor. He worked with some of the top actors in star movies. The good news is that the actor is getting married on 23rd February 2018 at 7 P.M with Richa Sharma in Hyderabad. Their marriage news is making rounds in social media. This Valentine’s Day is surely going to be a hot one for the couple as they are going to celebrate one last time as lovebirds before they wed.
Rs 8 crores paid for Bellamkonda Srinivas film Hindi rights! Previous articleNithiin presents ‘Chal Mohan Ranga’- Teaser Out! Next articleYSRCP MPs to resign – Is it a Drama? Or is Jagan really serious?